The development of cancer cells from normal tissue cells is preceded by changes in the genetic information, the DNA, of the cells. One specific alteration of DNA in cancer cells is its methylation. 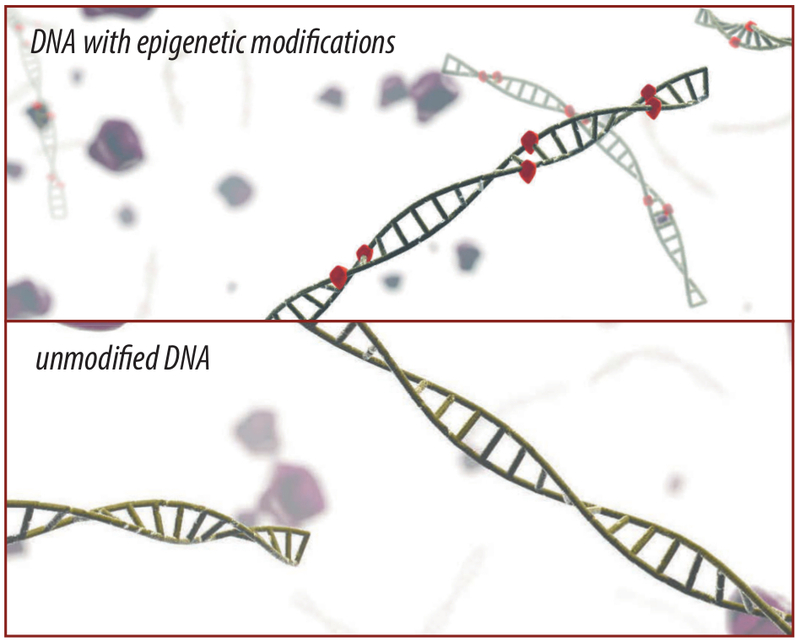 This epigenetic change can be detected by specific methods in diagnostic laboratories. 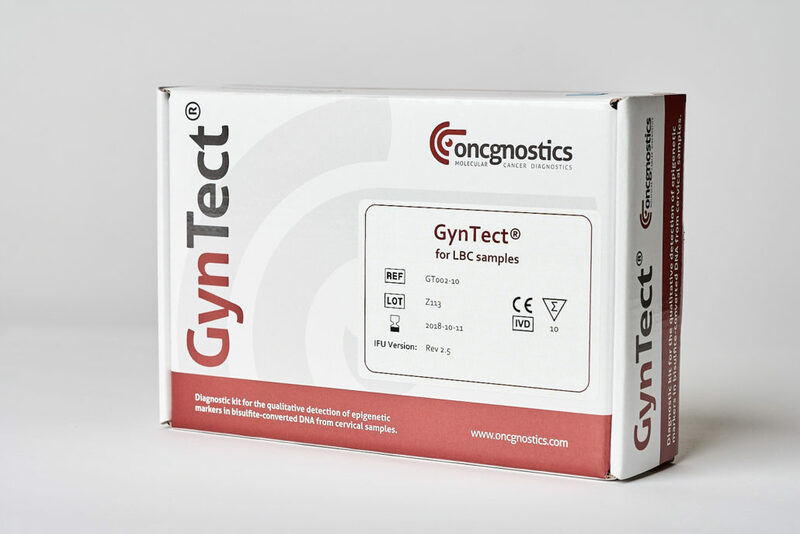 GynTect® allows the easy and reliable detection of methylated biomarkers in smears from the cervix. 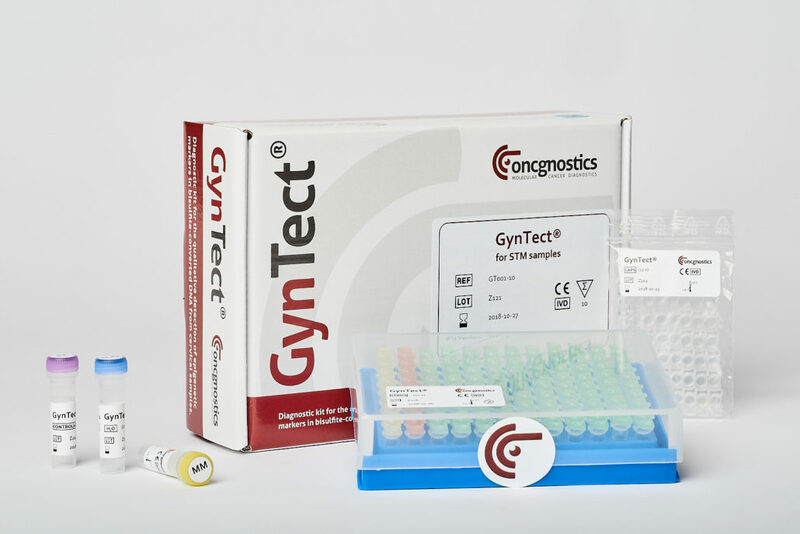 Methylation of the GynTect® markers especially occurs in cervical cancer or its precancerous lesions, but not in healthy cervical tissue. 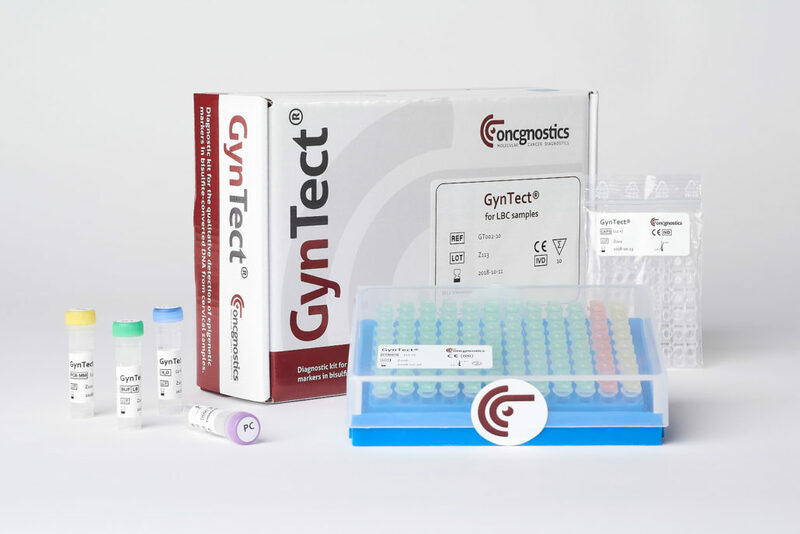 Therefore GynTect® may contribute to the clarification of the question, if a tissue alteration already requiring treatment is present. This may help avoiding many surgeries. Methylation occurs at certain positions of the DNA (red labels in the upper part of the image) during carcinogenesis.